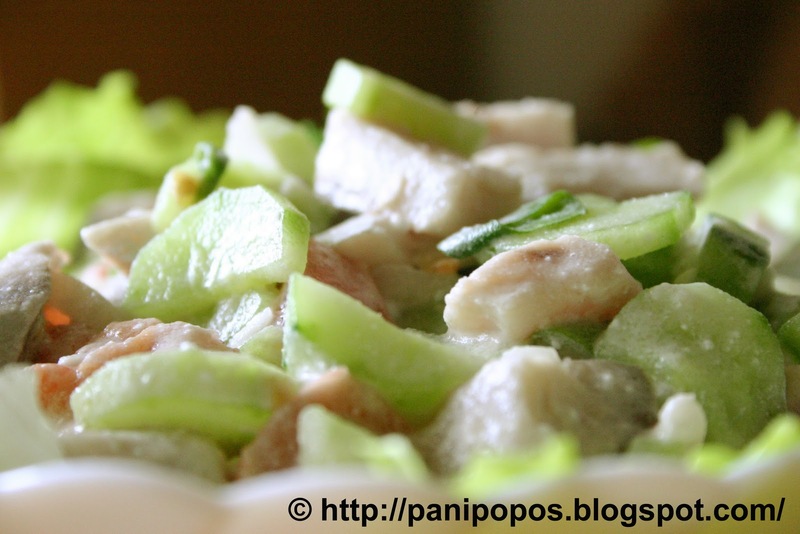 Fijian 'kokoda', Tahitian 'poisson cru', and Hawaiian 'poke' are all delicious variations of the same dish. The Samoan version is oka i'a. Everything about this dish is according to personal taste, so you'd be hard-pressed to find two people that make it exactly the same. However, three elements are common across all recipes. Firstly, you need fresh seafood, emphasis on FRESH. How fresh? Well, preferably the specimen you use was swimming in the ocean the same morning of the day you're going to cook. Frozen, canned or any other kind of preserved seafood will just not work for this recipe. Secondly, you need citrus juice, the acid that flavours and 'cooks' the fish. Samoans commonly use lime or lemon juice. (In South American ceviche, some people use bitter orange, so if you're feeling creative or want to get in touch with your South American side, why not give it a go?) 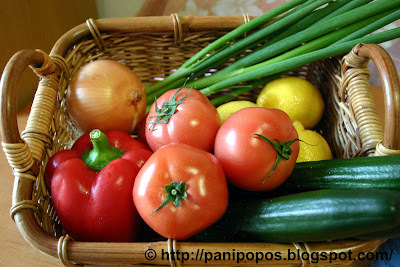 The third element of oka i'a is a selection of vegetables or even just one. If you simply add onions and nothing else, that's still oka. What follows is a basic recipe, but I encourage you to make it your own. Don't limit yourself to fish. Try fresh mussels, scallops or crabmeat. 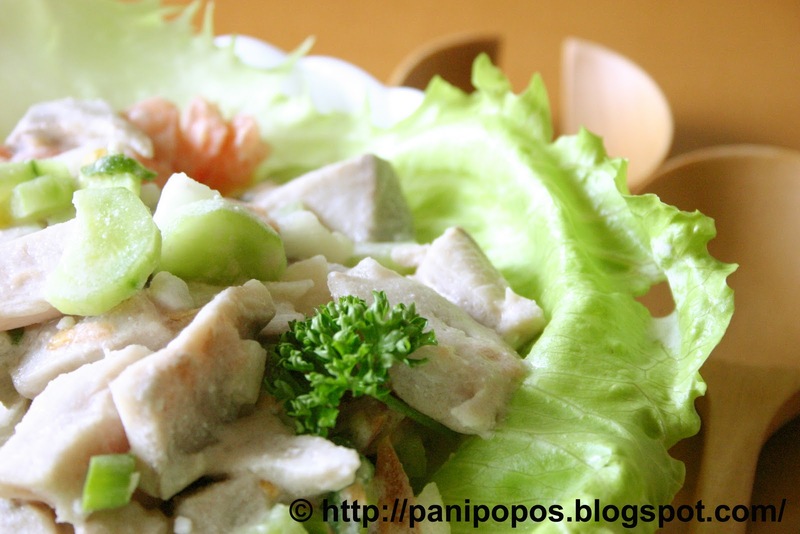 Add whatever vegetables you like, although crisp and crunchy veges like celery and cucumber provide a nice contrast to the fish. My sister O likes to add a finely minced hot chili pepper for a bit of kick. 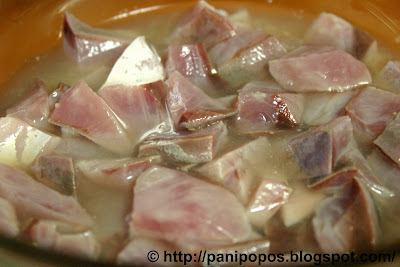 Some people like to add fresh herbs, cilantro or parsley, and I've also seen oka with lemon slices floating in it. If you have any suggestions for how you put your own twist on oka i'a, I'd love to hear them. Cut your fish into medium dice. Cover with lemon or lime juice and set aside for 1 minute to an hour. Yes, you read that right - 1 minute. My mother doesn't even marinate the fish in the lemon juice, just throws everything together. So it's completely up to you how raw you want your fish. The longer you leave the fish in the citrus acid, the more it's 'cooked' and the texture will be firmer than soft, raw fish. But you will also lose some of the clean, fresh flavour of newly-caught fish. I marinate the fish for as long as it takes me cut up the vegetables. So this is the next step. 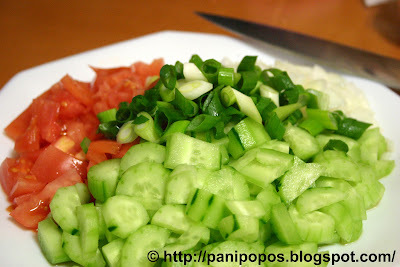 Finely dice your onion, slice the spring onion, dice your tomatoes and chop up your cucumber. Everything should be bite-size or smaller. Drain your fish and discard the lemon or lime juice. 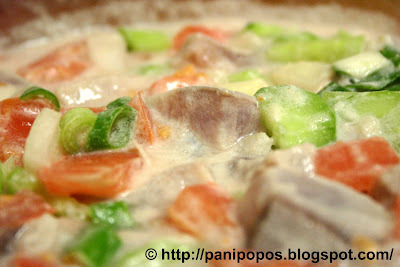 Add the vegetables and coconut milk to the fish. Mix well, then season with salt to taste. Refrigerate for at least half an hour to allow the flavours to blend and develop. Don't worry if your oka looks thick, like it doesn't have much juice. As the oka sits in the refrigerator, liquid from the vegetables will seep out and mix with the coconut milk, and your salad will be juicy in no time. oh how I love this! We eat this bowls after bowls its like candy in our house. Once my dad decides to make it. Its gone in seconds! oh...oka! i LOVE this...no, seriously, i want to devour it every time my dad makes it. it's just soooo good! i've never attempted to make it myself, but i may just do it some day:) and thanks again for your blog! 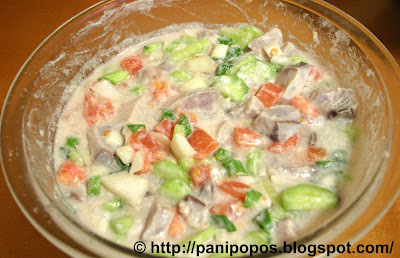 i've referred many of my friends to your blog for fantastic samoan recipes:) keep up the great work! arrgghh!! Your pictures are too good that I wish I could reach through and eat it out of the picture. My problem is I'm in Utah. Anyone know where I can get fresh fish here? I love it thanks for sharing. Do they have a Publix supermarket there? You can just go down to your local "fish monger" as well and purchase it fresh there. It's one of those simple, yet satisfying dishes...I love it too, especially when the fish is super-fresh!... Thx for the referrals...You're a great encouragement! Hey Katie, I'm nowhere near Utah, but hopefully some of our other readers can help you out for a fish source...If not, then you might want to try a shellfish oka, because these are usually transported inland while still alive...Good luck! Great! Thx for dropping by. Hi, I haven't used tuna or snapper before with my oka, only mullet, which I think is quite nice with this dish, but I am always looking to revamping samoan dishes, so I will give other seafood a go too. Yes, great idea...with the range of seafood available these days, why not? hi! quick question, have you ever used ono (wahoo) for oka? Hi Rachael, yes, have used ono, but it must be very VERY fresh. What's the best fish in NZ for Oka pls.? 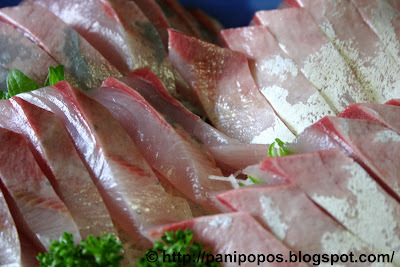 I have just made oka using trevally and it tastes great! I had some friends that made this years ago and sadly never got the recipe. Found yours today and went straight to the store. So glad you were here.